Harold Dibble was born on July 26, 1951. He recieved his Bachelors of Arts in 1971 from the University of Arizona and went back to University of Arizona a few years later to do his graduate studies and recieved his Ph.D in 1981. While in grad school, he studied under a professor Arthur Jelinek who worked on the paleolithic of Western Eurasia and the Mimbres Culture in New Mexico. 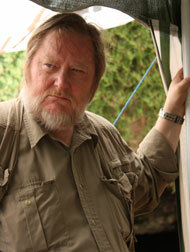 During Graduate school, he was a part of many different excavations including a site called Pech De I'Aze in France. He currently works as a professor of Anthropology at the University of Pennsylvania where he has worked on hundreds of different papers. Pech de l'Azé is a very important project that Dibble is currently the project director of. During graduate school, Dibble worked on his dissertation for the University of Arizona on this very site. The site started as a four year project to re-excavate what had already been excavated and look at new and different ways to analyize and date the site. Level 8 of this site contains abundant evidence of Neandartal use of fire which is something Dibble specializes in studying. Along with the collection project they realized there would need to be a new excavation would need to occur before the sites information could be published. In 2000, they began this new excavation to re-sample the site with a few initial goals. First, they wanted to complete the geological descriptions of the sequence. Second, they wanted to study site formation processes and obtain dates. Finally, they wanted to collect new samples to assess the degree to which the existing collection had collection bias. Image 2. 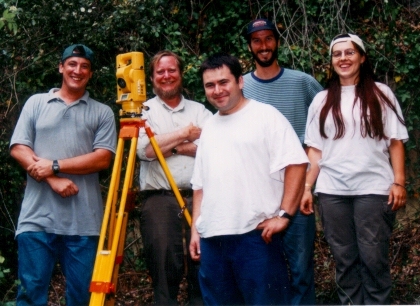 Harold Dibble and his crew working on the The Pech de l’Azé Sites in 1998. Roc de Marsal is a Middle Paleolithic cave in Dordogne, France near Les Eyzies. Excavation started with Jean Lafille until he passed away in 1971. Fossilized remains of Neandertal infants were found in what looked to be an intentional burial and this sparked Dibble's interest in the area because of his focus in plestocene hominid behavioral evolution. In early 2003 a multi-year excavation project was started in order to obtain new samples and artifacts to understand and date the site. 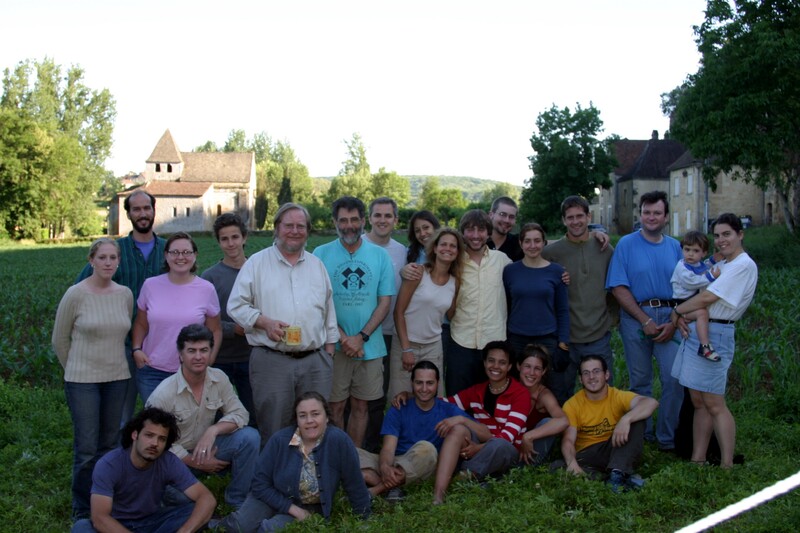 They laid out five different objectives of the project in Roc de Marsal which included: complete exposure of the combustion features in the lower levels, dating and excavation of the pit or cavity, continued sampling of the lower levels, continued analysis of the lithic collections, and finally continued analysis of the faunal collections. Image 3. Harold Dibble and his crew working on the Roc de Marsal project. As stated above, one of Harold Dibble's main research focuses is working on the issue of plestocene hominid behavioral evolution. In this paper, Harold talked about homonids in the middle paleolithic and how they used planning and foresight for survival by extensively manipulating the world around them. He used the presence of materials from far sources to justify their use in certain tasks like hunting to separate them from other primates of the time. It also described their ability to care for one another and how important that was in the survival of their species during that time. This work is one of his most sited works as it has been sited 326 recorded times according to (Google Scholar). As well as working on the middle paleolithic homonid behavior, Harold was also very important in the development of the theory of scraper reduction. Scraper reduction is the idea that Middle Paleolithic people were subject to retouching and their scraper types represent different stages of reduction from blank to exhausted scraper with the intensity of reduction correlating strongly with the availability of raw material. In this paper, he reported six different points to support Middle Paleolithic scraper morphology. The scraper morphology being a reflection of intensity of utilization and degree of resharpening and rejuvination, coupled with aspects of blank size and shape. His first point was that Ethnographic data shows that continous reduction is a common aspect of lithic technology in modern groups utilizing stone technology. His second point was that lithic morphology variability is tied to resharpening and reduction. The third point said a directed analysis of the scrappers from Biache show patterns in the application of retouch which demonstrate the continuous nature of hte processes that resulted in the different types of classes. The fourth point stated that the direct, metric evidence for middle paleolithic scraper reduction, gathered by several independent researchers, is overwhelmingly supportive of these models. Fifth, he stated the undeniable connection between specific kind of reduction sequence and blank shape across a large geographic and temporal spread. And finally, the middle paleolithic assemblages reflect together the effects of intensity of utilization. All six of these points boil down to a considerable amount of support for Dibble's scrapper reduction model. Harold and some of his co-workers have been developing programs and computer applications to help aid and assist in bringing computers and technology into the archaeological world. EDM and EDM-CE are both programs that are used to collect data using Total Stations and Windows programs. E4 is another data collection program that they developed to help with artifact analysis. 3. Chase, Philip G., and Harold L. Dibble.Middle Paleolithic Symbolism: A Review of Current Evidence and Interpretations. Journal of Anthropological Archaeology 6.3 (1987): 263-96. Web. 5. Department of Anthropology. Department of Anthropology. N.p., n.d. Web. 04 Apr. 2016.